It is now 7:03 AM PT Time on Tuesday, April 23, 2019. DAM's Annual Lake Berryessa Swim is one of the longest running open water swim events in America. 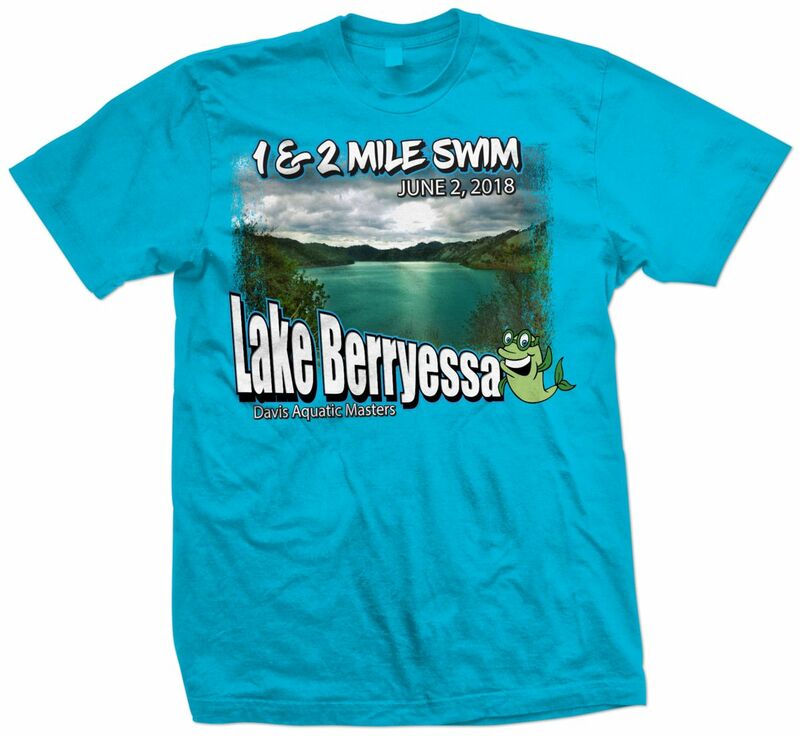 Started in 1981 as a friendly lake swim, this event now attracts nearly 500 swimmers each year to the shores of Lake Berryessa. Conditions/Safety: Expected water temperature is 65-70 degrees. Each course is patrolled by safety craft. Individual escorts are not allowed. All swimmers must wear the provided swim cap and follow all USMS Open Water rules. Mandatory safety briefings will be held at 8:50 a.m. and at 11:00 a.m. at the information kiosk. The Event Safety Plan will be posted at the registration desk on race day and is available prior to race day by request from berryessa@damfast.org. Start: Deep water, wave starts (see below). Finish: Onshore. Cutoff times: For 2 mile events, 2 hours after wave start For 1 mile events, 1 hour after wave start. Safety craft will remove swimmers who fall short of the cutoff times. Eligibility: This event is open to USMS registered swimmers or members of an equivalent organization (for foreign swimmers). To register for the event, you must provide proof of current membership. You may register for a USMS One-Day Event Membership (OEM) during the online entry. Entries: Paper entry form is available from berryessa@damfast.org. Online entry is provided by Club Assistant software (you are here now!). Entry Deadline: Online registration closes Wednesday, May 30, 2018 at 11:59 PM (Eastern time); paper entries must be received by Thursday, May 24, 2018. Race day registration available at a higher cost..
$3.50 additional processing fee applied to online entries. Entry fees are non-refundable and non-transferable. Online entry is paid by credit card to "ClubAssistant.com Events". Eligibility: This event is open to U.S. Masters (USMS) registered swimmers or members of an equivalent FINA organization (for foreign swimmers). To register for the event, you must provide proof of current membership. You may register for USMS during your event entry process. Scoring Divisions: Divided by gender in five-year increments according to USMS Rules (18-24, 25-29, 30-34, etc.). Awards: Awards will be given to the top three male and female finishers in each designated USMS age group for the Category 1 races. Awards for the the Category 2 races will be presented to the top thrree male and female over all finishers, regard;ess of age. The top male and female finisher in the combined Category 1 events will receive a separate award. Check-in and Race Day registration open at 7:30 a.m.
Commemorative t-shirts advance purchase period has ended. Limited quantities of commemorative t-shirts will be available for purchase at the event. One food truck from ChickPeas Kitchen will be onsite to satisfy your pre- & post-race cravings with fresh Mediterrenean menus..They offer healthy yet delicious foods including many vegan and gluten-free options. Race day purchase and pickup. Lodging: Basic campsites (no running water or electricity) are available at Steele Canyon Campground. Call 1-877-386-4383 for reservations. Full hookup camping sites are available at Pleasure Cove Marina (http://goberryessa.com, click on “Forever Resorts Marinas”). Nearest hotels are in Napa, Vacaville, or Fairfield. DAM is a 501(c)(3) organization that supports local swimming related organizations and swimmers with donations and scholarships. All proceeds support the DAM mission. Please note: If you pay by credit card, your statement will reflect payment to "ClubAssistant.com Events." Online Registration closed on 5/30/2018.